Pagodas, temples and stupas…over 2000 of them, which were built between the 9th and the 13th century, still adorn the plains of Bagan. There are so many of them that you can have a little one for yourself for hours, regardless of the recent tourist influx that Myanmar is witnessing. If Bagan is not on your travel map, it is time you put it up there…and then, get there before the rest of the world does! Lots and lots…and lots of pagodas! Flights: The closest airport to get to Bagan is Nyaung-U. This is a domestic airport and is connected to the major international entry points i.e Yangon and Mandalay by local airlines like Air KBZ, Air Wings Asia and Air Bagan. Book in advance to get yourself a sweet deal. A one way ticket to Nyaung-U can cost between ~USD 85 to 135. Bookings can be made in advance on website of the respective airlines. Bus: Myanmar has an excellent road network with long distance and overnight buses connecting main cities. There are overnight buses from Yangon (JJ Express/Elite Express) that cost ~USD 20 and take about 8 – 10 hours. You can connect with them on FaceBook and book your tickets. Payment needs to be made prior to boarding the bus. 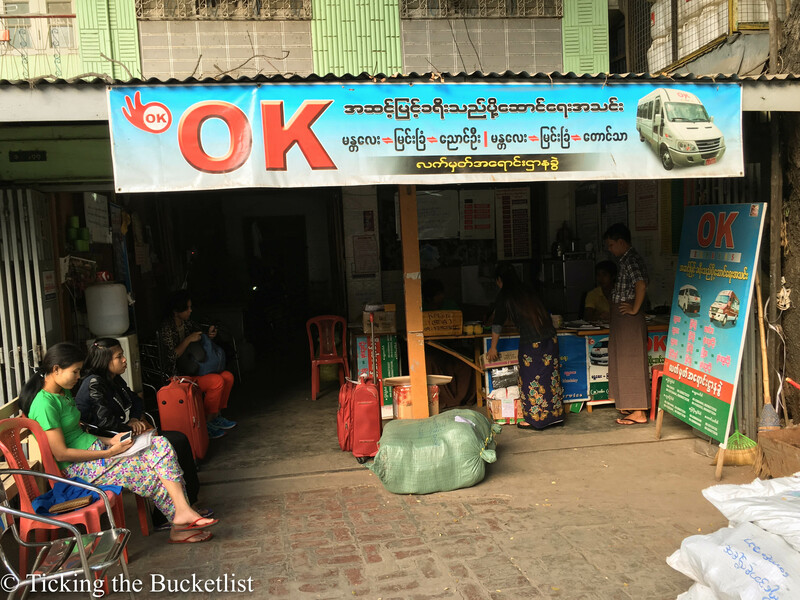 I took the bus from Mandalay to Bagan, which cost me USD 16 and took about 5 hours (including pick up from the hotel in Mandalay and drop to my hostel in Bagan). The mini bus was run by OK Travels and I booked it in advance online on Scape Tours. Boat: Bagan can be reached by an express ferry from Mandalay. The journey takes about 10 hours and costs ~USD 35. Apparently, views of the fields are lovely and the journey is quite relaxing. There is no online booking option available (directly with the ferry operator) and it is best to make your booking using a travel agent (online/local office) or through your hotel. Train: By train, Bagan is connected directly only to Mandalay…as of January 2016. This journey takes 10 – 12 hours…much longer than any other means of transport. At about ~USD 2, the ticket is really cheap. However, it is probably not a wise idea to spend so much time in the train which is not too comfortable for such long journeys. 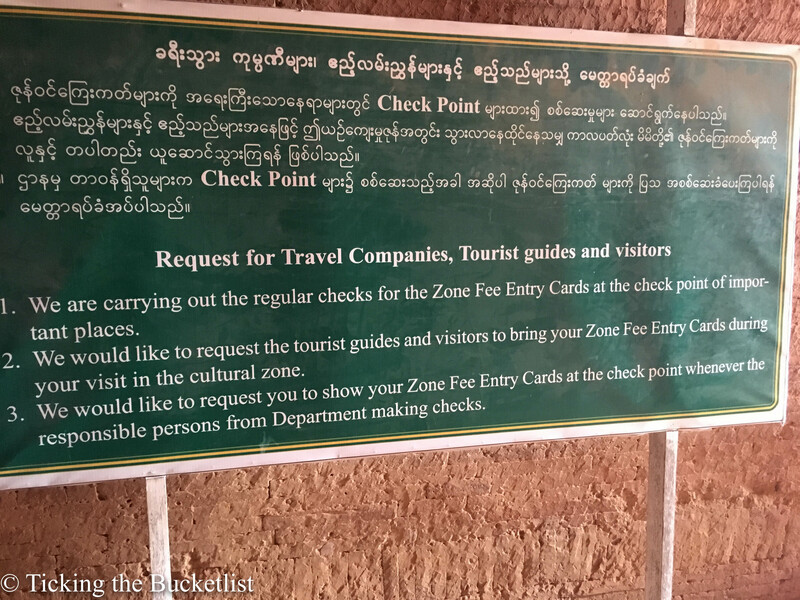 There is an entry fee of USD 20 charged as a ‘Fee for entering the archeological zone of Bagan’ at the airport, ferry terminal and bus station. You will be issued a card on paying this fee. Keep it safely as you could be asked to show it any of the temples/pagodas in Bagan. If you do enter Bagan without the card and are stopped by an official in the archeological site, do not despair! Simply pay USD 20 and get the card…and keep it safely! However, I was never asked to pay this fee when I reached Bagan at 11 pm using the OK mini bus from Mandalay. I kept looking for an official at the large and famous temples, but saw no one. Long and short of it, I spent three days temple haunting without paying the fee. I am not proud of it…but I didn’t know whom to pay it to! The best months to visit Bagan are from November to February. Night are slightly chilly and days are warm. Temperatures stay between 18 – 30 degrees Celsius. From March to May, temperatures can reach as high as 40 degrees Celsius and stepping out to explore the temple during the day is like subjection your body to torture. June to September is the rainy season with little rain in Bagan. When it does rain, the trees look clean and the plains have a refreshing green cover. However, riding an e-bike in the slush after a shower is not a great idea. This season has maximum temperatures close to 35 degrees Celsius, with a lower tourist inflow and might just be the best time to visit for the budget conscious. There is accommodation of every kind available in Bagan…from luxury resorts to basic budget hotels. However, it is not as cheap as you would expect it be in South East Asia and would cost you ~USD 20 per night in a basic budget hotel. Old Bagan: Old Bagan is where the archeological park is! If you want to stay amidst the pagodas and have a view with every meal, Old Bagan should be your place of choice. All hotels are in the semi luxury and luxury category can will cost at least USD 100 per night in peak season. New Bagan: New Bagan is a result of growing tourism and houses most of the guest houses and hotels. There are fewer locals than tourists here! The area is geared for tourism and has semi luxury and budget hotels. There are plenty of restaurants offering Burmese and European food. There are over a dozen e-bike rental companies here. Old Bagan is about 7 km from New Bagan and it takes about 20 minutes. I stayed at New Bagan at Ostello Bello Hostel, which is one of the best hostels that I have ever stayed in. I paid ~ USD 75 for three nights in a three bed dorm here, including breakfast and free sunrise and sunset tours. The hostel was worth every penny. It had such a rocking bar and the restaurant food was excellent, with options for vegetarians. The hostel staff was very friendly and helpful, breakfast was good, rooms were clean and it had a warm vibe that made it feel like home. Nyaung-U: Nyaung-U is an actual town, close to the airport, with lots of hotels, restaurants and local markets for all budgets. You will see more locals than tourists here. 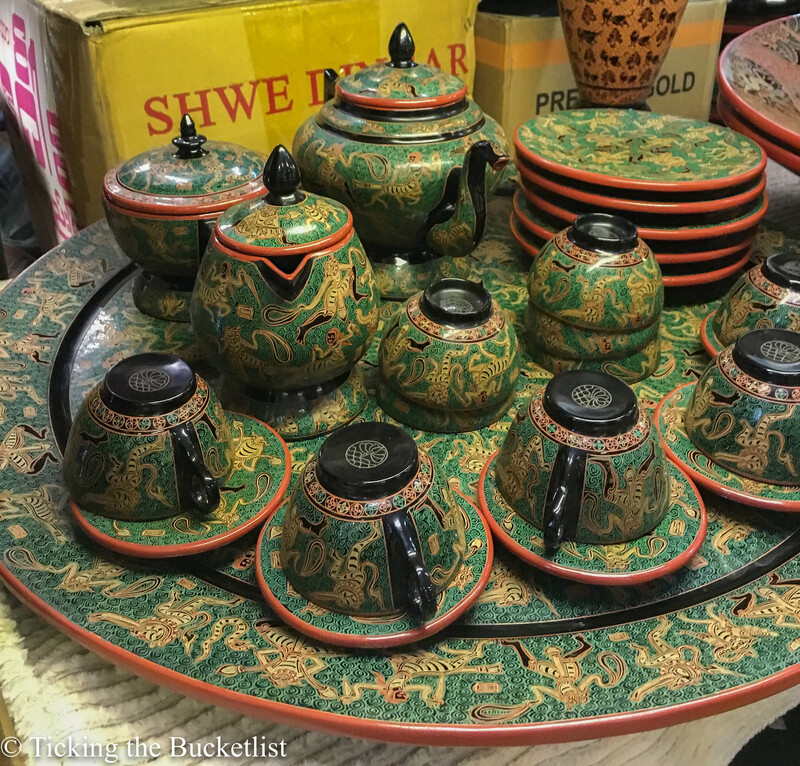 I was told that this is the best place to shop for lacquerware, provided you can bargain well. Pagodas, temples and stupas: Pagodas, temples and stupas…and more pagodas, temples and stupas! I would highly recommend visiting Pya Tha Da, Shwesandaw, Ananda Phaya, Sulamani Temple, Thisawadi, Dhammyazika and Dhammagiri…my favourite biggies. 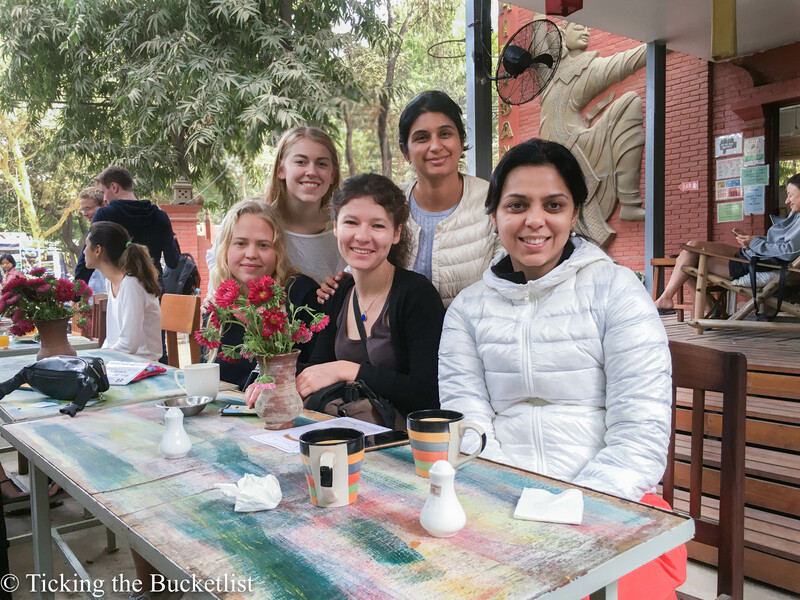 There are plenty of small pagodas which are so appealing that you will be forced to stop in your tracks to take a peek inside…and maybe sit down for a few minutes, or even hours having found the much sought peace and solitude. In case you like a temple that is locked, walk around for a couple of minutes. More often than not, there will be ‘key holder’ who will open it up for you. These key holders are locals who have been appointed to take care of the pagoda. It would nice to tip leave a tip for the key holder in such a situation. For sunset, I would recommend the Shwe Gu Gyi pagoda (for great views with little crowd), Shwesandaw (great panorama with thousand of tourists) or finding your own little pagoda with just a handful of people…or no one! Visit a village: The friendly village people are happy to take you around their village and show you their way of life. It is a good opportunity to understand what life is like in the village. I spent almost an hour in Minnanthu village in East Bagan. 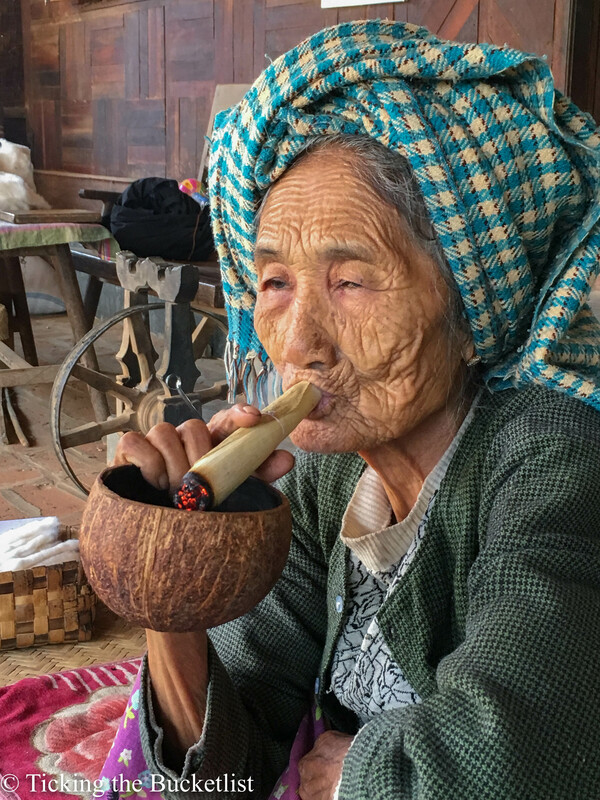 I enjoyed watching this old lady making her cigars …and then smoking them with the coconut ‘ashtray’ underneath! Do leave a tip for the enterprising youngster who shows you around …and buy some local wares if they catch your fancy. That’s the last one can do to support local economy. Visit and lacquer workshop …and buy some lacquerware: There are a lot of lacquer workshops around Myin ka Bar village. Most owners will be happy to show your around the workshop between 10 am and 5 pm. Don’ t feel pressured to buy if you don’t like the stuff. After you have seen one workshop wnd understood the process, you can hop around for the designs and items that you like. A lot of shops keep the better quality wares hidden a separate room…so ask for ‘good quality’ if you don’t like what you see! 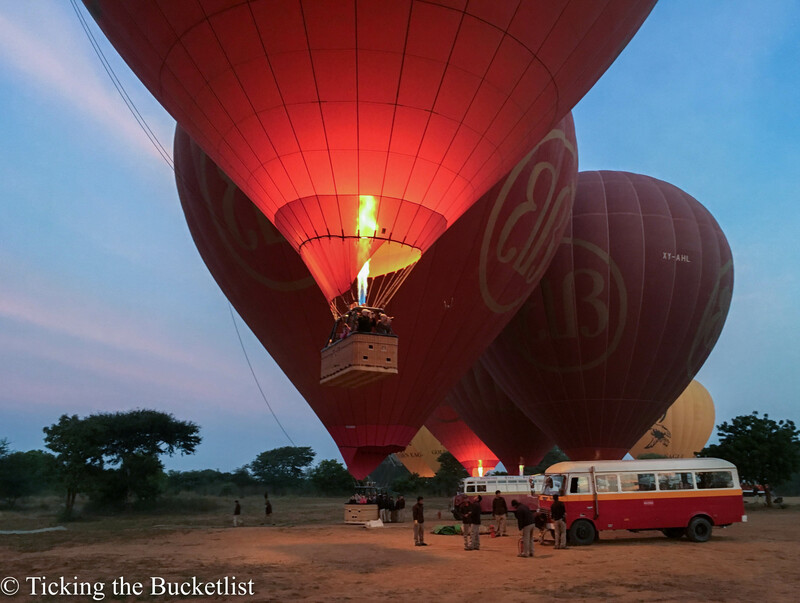 Hot air ballooning: If budget is not a constraint, the hot air ballooning over the plains of Bagan to watch the sunrise is a great experience. 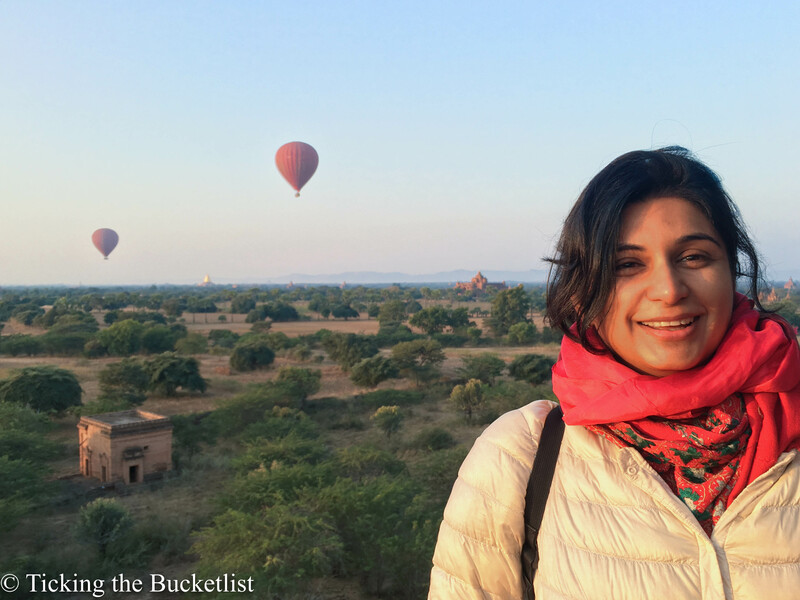 I did the ride with Balloons Over Bagan on my first morning in Bagan and enjoyed every moment of being in air…and the bubbly after landing as well. Click here for my review on this ride. Day trip to Mt. Popa: A lot tourists do a day trip to Mt. Popa. 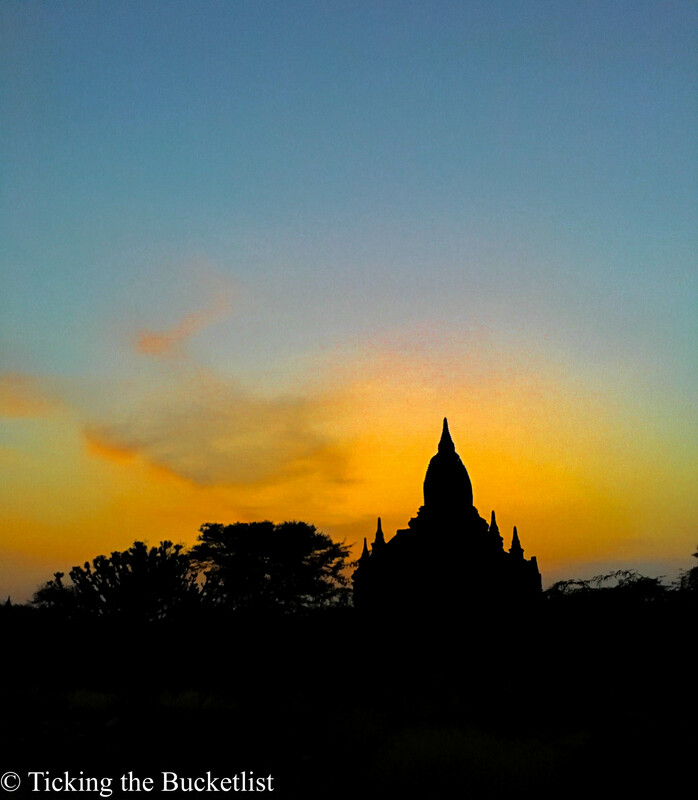 It is about 50 km from Bagan and is a sacred site for the locals. You would need to climb quite a few steps to get here. There are a lot of monkeys to keep you company…so mind your food packets! Tuk tuk: Tuk tuks are available to ferry you from the bus stop to your hotel. Tuk tuk drivers will approach you the minute you step out of your bus. You can then negotiate a price to get you to the hotel, which is typically between USD 2 – 4 (per person in a shared tu k tuk) depending on what time you arrive and the location of your hotel. E-bike: This was my favourite mode of transport for temple run! 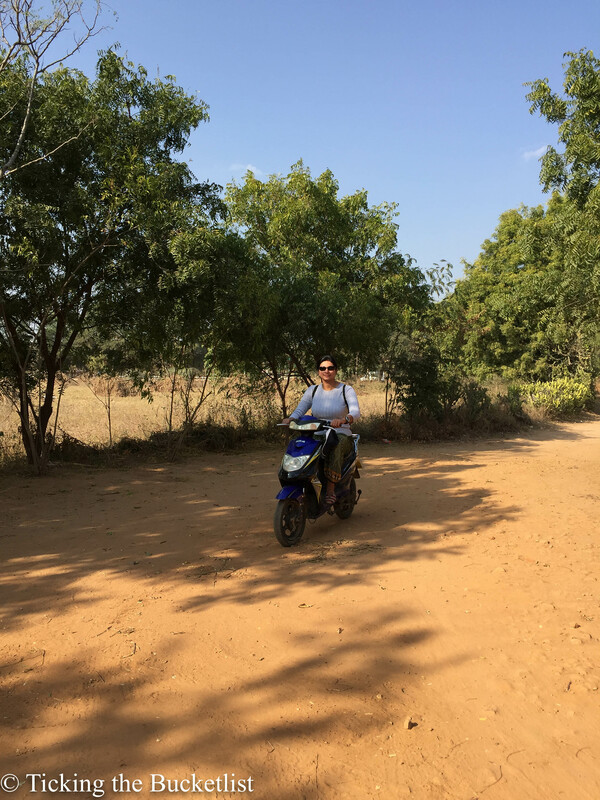 I rented an e-bike for two and a half days to explore Bagan as per my whims and fancies. For half a day, the medium sized bike cost me ~USD 4 and for the full day it cost me ~USD 7. The battery typically lasts 4 hours. If you intend to use it from sunrise to sunset, do get the battery changed at lunch time (done without any extra cost). The e-bikes become more comfortable and expensive as the size increases. The medium sized bikes are typically good for a Remember to test the brakes and head lights before you rent the bike. My ride for three days…the e-bike! 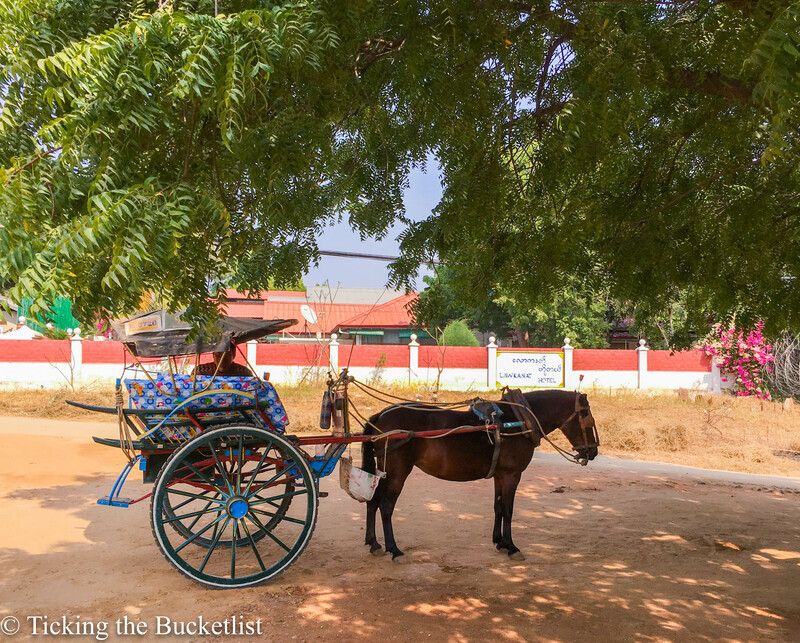 Horse cart: If e-biking is not your thing, you can opt for a horse cart. It should cost you ~USD 20 – 25 for the whole day, which is good for a couple. The horse cart is a slower option than the e-bike and will not be able to take you on small winding dirt tracks. You can also hire the horse cart a couple of hours before sunset for ~USD 7 – 10. Car: If you think that the dust will get to you and you long the comforts of an air conditioned car, speak to your hotel and book yourself one, with a driver. It costs ~USD 555 – 60 to rent a car for the day. Be mindful that the small sights cannot be accessed using the car and you will covering only the larger sites along with hordes of tourists who may be loud, impolite and might push you around to make their way. There are many restaurants in all over Bagan …New Bagan, Old Bagan and Nyaung-U. It would wise to stop over for lunch at a restaurant in Old Bagan to take a break from the afternoon Sun. 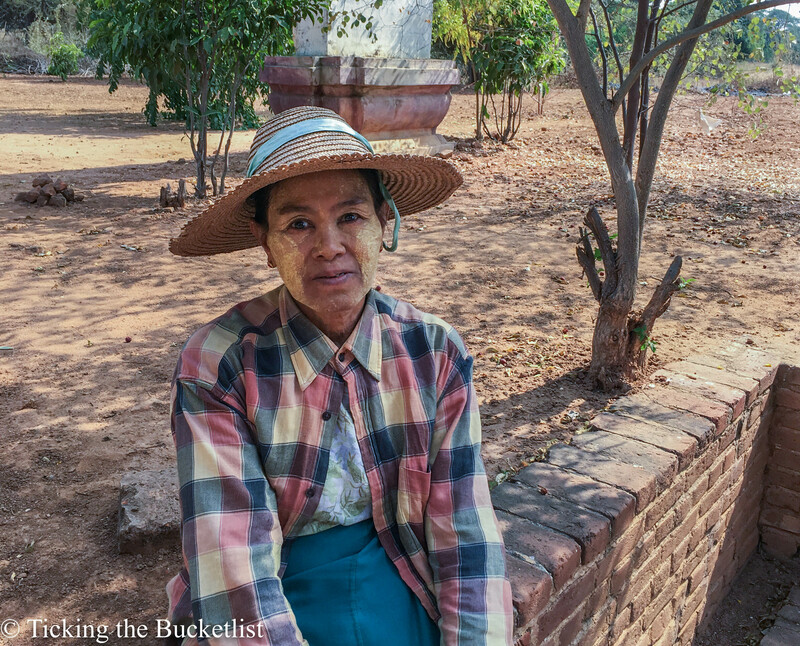 It is also the best way to get access to clean toilets (there are no public toilet in Old Bagan). My favourite restaurant was Sarabha Restaurant near the Tharabar Gate, Old Bagan. There were options for vegetarians and the portion size was good. There are two famous vegetarian restaurants in Old Bagan, Be Kind to Animals The Moon and Yar Pyi (opposite each other) near Ananda Phaya. 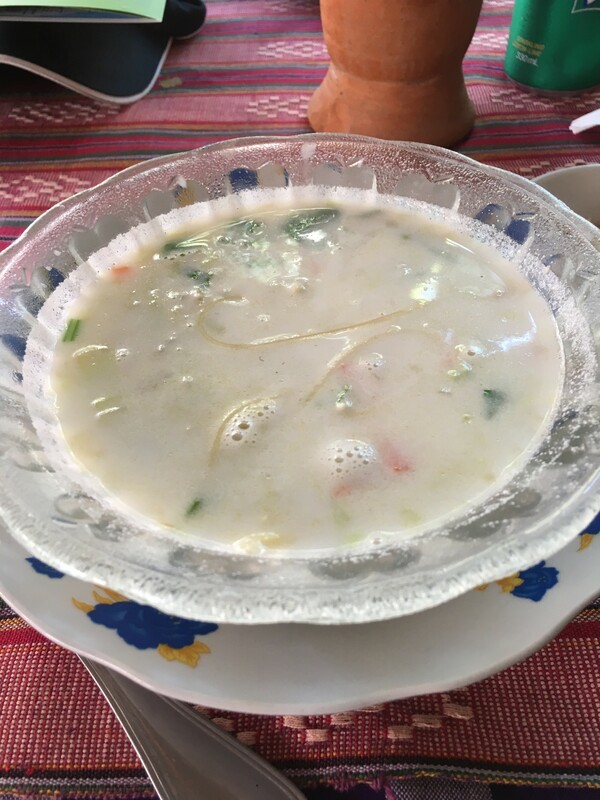 Yar Pyi had many more Burmese options than The Moon. Make sure that you try the fermented tea leaves salad at Yar Pyi…thumbs up! For dinner, I would recommend eating at a restaurant near your hotel as there really isn’t any nightlife in Bagan. My best dinner experience was at Green Elephant in New Bagan, great food, good service and a lovely ambiance. Two cents from my end… Some tips…. While Bagan cannot be called a desert, its weather is very similar to what you would expect in the sandy regions. If you do decide to visit during the peak season (November to February), suggest carrying a jacket and a scarf for the evenings. It gets a little chilly after sunset. All eating joints close at 10 pm. The kitchens usually take the last order at 9:30 pm. I was hungry at 10 pm on one night and could find only one restaurant open which was happy to serve the lentil soup. Local SIM cards can be recharged at any local grocery. If you want data only, ask for the ‘only internet’ plan. Popular toothpaste, shampoo and soap brands are available at the local stores…so don’t despair if you run out of your stock. Pack a torch or a small headlight. It comes in handy while descending the steps from the terrace of a pagoda after sunset. Happy to help you plan your trip to Bagan! I want to do a Hot Air Balloon ride over the temples of Bagan during sun set. No matter, how much I have heard of this place, I still want to be there. It is near my country India and I hope I can make there within next year. This guide is great! 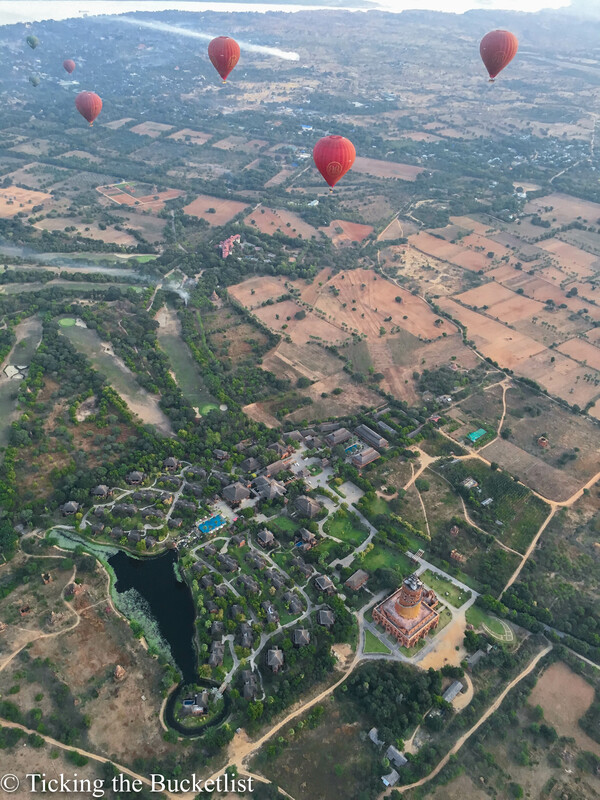 Bagan looks incredible, I especially love the view from above from your hot air balloon! The portrait of the old wrinkled woman is beautiful and tells such a story in its own! Bagan is such a beautiful city with ancient architecture and culture to explore! 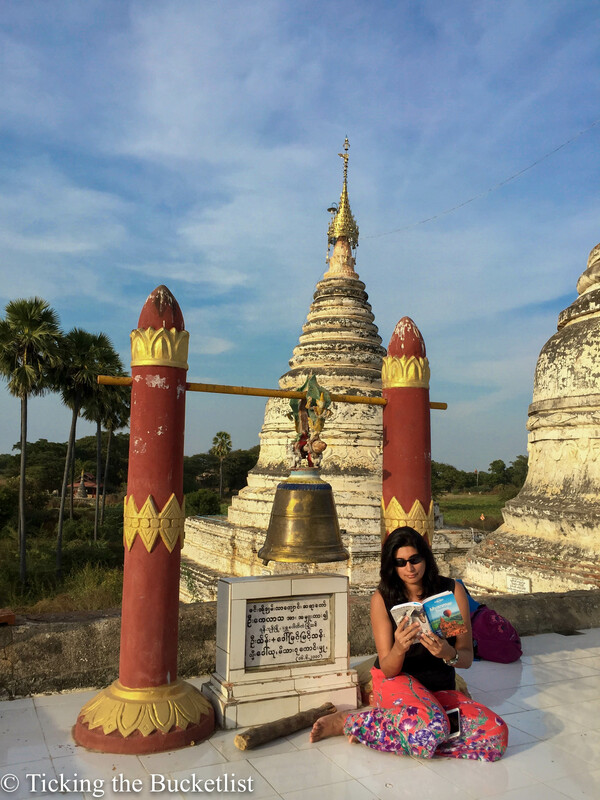 Visiting the pagodas, temples, and stupas is a must! And I definitely would not miss out on the opportunity to go hot air ballooning! 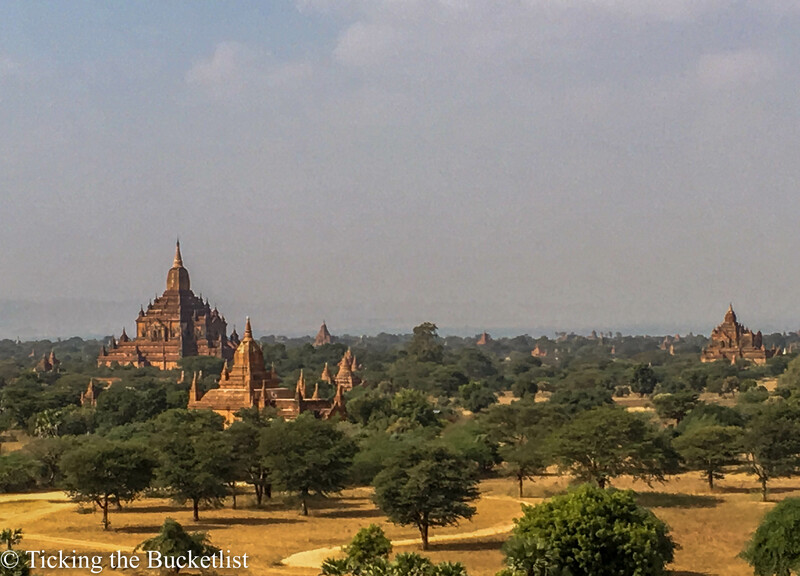 Bagan looks gorgeous with what seems like a lot of views to explore. The hot air balloon ride would be quite the unique experience overlooking the views of Bagan at sunset. I would love to have the opportunity to explore the villages with the locals and learn more about their ways of life. Thanks for sharing. This is amazing and perfectly timed since I’m in Bagan at the moment! and guess what? I’m also staying at Ostello Bello! Such a cool hostel!